Forming a link between Glen Lui and Glen Quoich in the Cairngorms, there’s a pass and lochan called on the map Clais Fhearnaig. It makes a pleasant wander for those who prefer to be among the hills rather than on them, starting at the Linn of Quoich and heading up the jeep track until a narrow footpath leads up the hillside by a pony field and through past the scenic loch and a narrow defile with rocky outcrops on either side, to descend into Glen Lui and another jeep track back to the road. If it’s a braw day, it makes a nice destination on its own: forget you’re a rough tough mountaineer, take a picnic and lounge around the lochside for a couple of hours. Chances are you’ll have the place to yourself, although, if you’re lucky, the Crag Bhalg eagles sometimes fly over that way: I’ve seen one perched at the top of the defile above the loch, sitting quite the thing and watching my mate and I as we walked through the cutting. The pass itself owes its existence to glaciers, forcing water across a watershed, eroding something like a giant railway cutting in the process, but the loch itself is artificial, with an earth and rubble dam at the Glen Quoich end. And that – I suspect – is where Roger came in. I was first taken there as a child. My father was going to night classes for a geology course and my uncle, who had wandered the Cairngorms since the 1940s directed him to a particular outcrop where he might find small crystals of amethyst. Up at Roger’s Pond, he said. It wasn’t called that on any map, but back then in the late ‘60s or very early ‘70s Uncle John knew all the keepers on the Mar Lodge Estate – Bob Scott, the Dempsters – and that, apparently, was the name it was known by locally. It was a great place for a kid. Once the right outcrop was located my brothers and I poked, prodded and picked, occasionally arguing over who got the one hammer. We did indeed come away with pocketfuls of clear and purple quartz and, if the crystals were all tiny and usually shattered, then they were still jewels and gems to us. Think I still have them somewhere. We went back crystal-hunting several times over the years and I’ve walked through (cycled once) on a number of occasions getting from one glen to the next, but I’ve never heard anyone else call it Roger’s Pond. 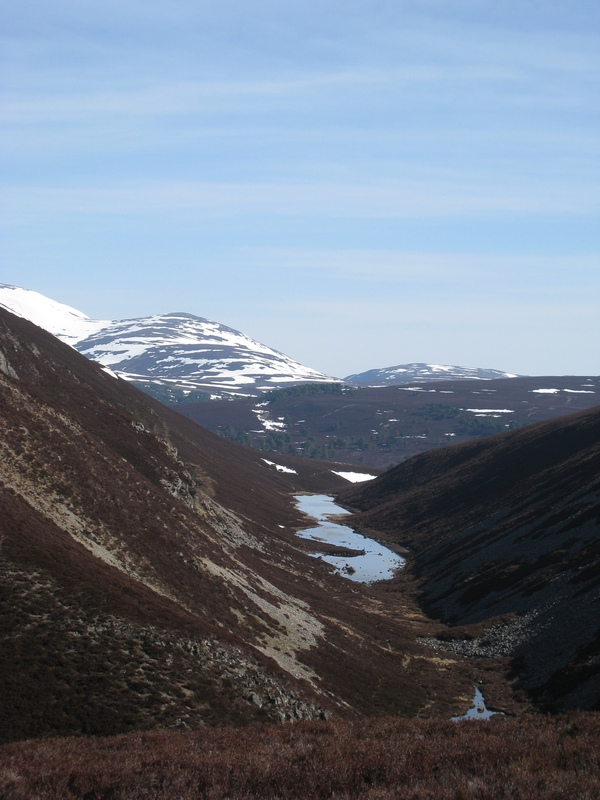 My uncle told us – and it’s confirmed in Watson and Nethersole-Thompson’s book ‘The Cairngorms: Their Natural History and Scenery’ – that it is an artificial loch created for fishing. So was it Roger who had the dam built? Was Roger a fishing client who favoured the pond over other locations? It would be good to know – even to confirm that Roger’s Pond was a name used locally, for I’ve spoken to people who were around at that time but hadn’t heard it. There’s a comments option at the bottom of this post: feel free to enlighten me! 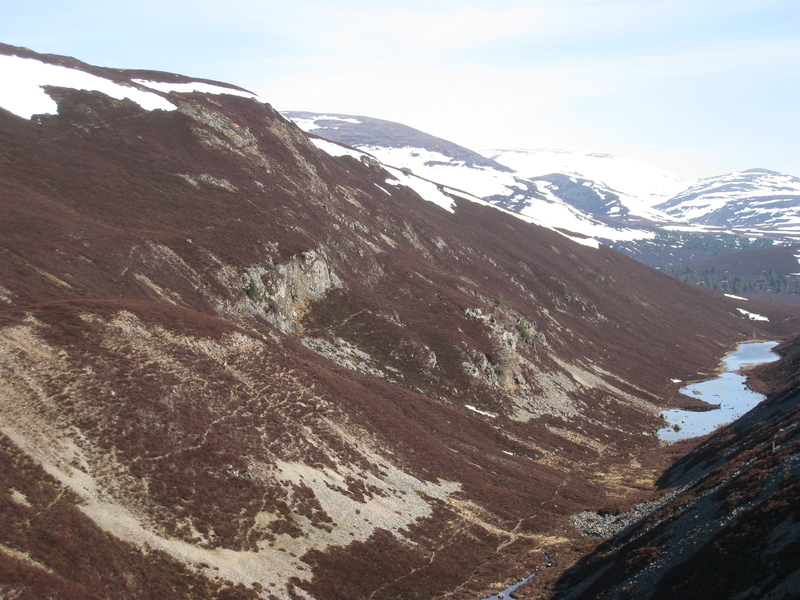 This entry was posted in History, Topography and tagged amethyst, Bob Scott, Cairngorms, clais fhearnaig, Dempsters, fishing, geology, Glen Lui, glen quoich, lochan, Lui, quartz, roger's pond. Bookmark the permalink. 2 Responses to Who was Roger? Thanks for that Nick. No mention of the dam at the north end which creates the loch. I’d always imagined it to date from Victorian days, but apparently not.